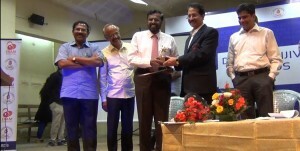 With his vast experience of over 37 years in the field of Mental Health, Dr.C.Ramasubramanian popularly known as Dr.C.R.S hailing from Madurai District is the first person to have been awarded with a Ph.D in Community Psychiatry (in 2012), under the Madurai Kamaraj University, which is one of the prestigious universities of Tamil Nadu. Dr.C.R.S originally completed his under graduate (M.B.B.S) and post graduate degrees (M.D in Psychiatry & DPM) from the Madurai Medical College, Tamil Nadu. His primary areas of interest are in the fields of community psychiatry and psycho social rehabilitation. Under his able guidance, the District Mental Health Programme is currently being implemented in sixteen districts of Tamil Nadu which is the highest in any State of our country. His District Mental Health Programme – Madurai has been adjudged as the best programme in the entire country. Because of his efforts, all the District Head Quarters Hospitals have obtained the services of a designated full time Psychiatrist, Earlier, patients could access mental health care services only at the Medical College Hospitals. 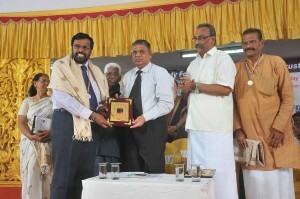 His Ramnad programme was adjudged as the best project by the Australian Govt. and now this project is being taken up as a Collaborative Programme between India and Australia. State Nodal Officer, Mental Health Programme, Tamil Nadu. Nodal Officer, Government Institute of Psychiatric Medicine, Research and Rehabilitation at Theni, Tamil Nadu. Nodal Officer, Establishing Mental Hospital at Erwadi, Tamil Nadu. Expert Advisor, Mental Health Programme, National Rural Health Mission, Tamilnadu. Technical Consultant in National Rural Health Mission –Tamil Nadu for its Special Project of “Development of a Comprehensive Programme for Children with Developmental Disorders”- Dindigul District, Tamil Nadu. Principal Investigator, National Mental Health Survey by Ministry of Health and Family Welfare Department, Govt. of India. Principal Investigator in Developing the Need based model on Community Mental Health in India under Asia Pacific Community Mental Health Development. It is a collaborative programme of India and Australia. President, Indian Association for the Blind, Madurai. Member, Academic Council of NIMHANS (Deemed University), Bangalore. Member, Executive Council, Indian Association for Social Psychiatry. Chairperson, Community Psychiatry, Indian Psychiatric Society (IPS). Chairperson, Rehabilitation Psychiatry Specialty Section, Indian Psychiatric Society (IPS). Founder member, of M.S.Chellamuthu Trust & Research Foundation (MSCTRF), Madurai. To recognize his service in the field of Mental Health and Community Psychiatry he has received the following awards. 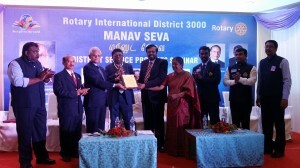 from the Government of Tamil Nadu for his outstanding services to the rehabilitation of the disabled. from the District Collector, Ramanathapuram District, Tamil Nadu, for his yeomen service to the disabled persons. from the District Collector, Madurai District, Tamil Nadu for his outstanding services to the community in Madurai District. 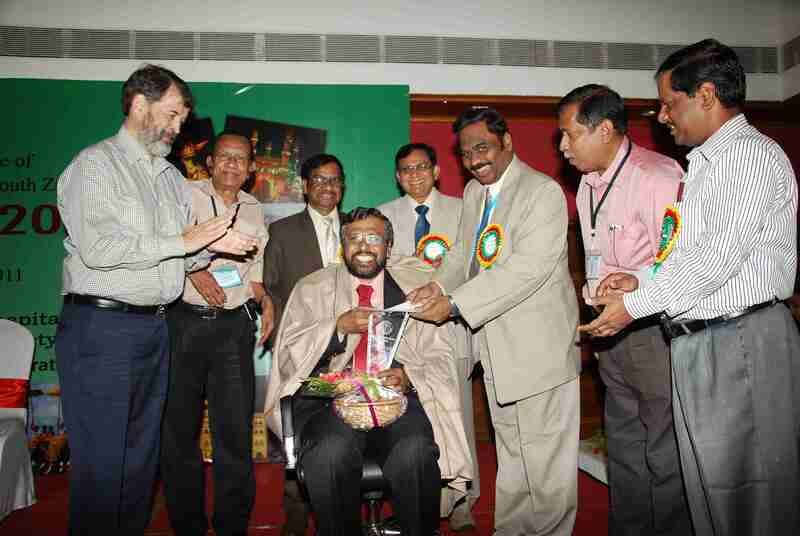 from Indian Psychiatric Society – South Zone for his commitment in the field of Community Based Rehabilitation. 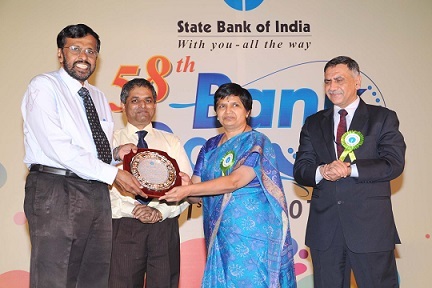 for his outstanding contribution for the welfare of disabled population from the State Bank of India, Chennai. from Ekam Foundation and Udhavam Ullangal, Chennai for his undying devotion to the provision of healthcare to the underprivileged. 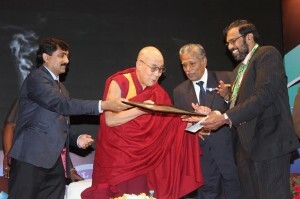 awarded to Dr. C. Ramasubramanian, Founder, M.S.Chellamuthu Trust and Research Foundation in recognition of outstanding service provided in the field of De-addiction by Dr. Abdul Kalam Vision India Movement on 9.11.15 from his Holiness the Dalailama. 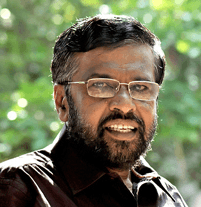 instituted by Society for Community Organisation (SOCO) Trust was awarded to Dr. C. Ramasubramanian for Social Justice and Human Rights Crusade on 26th Jan 2016. 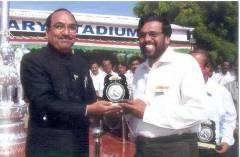 Award presented by Hon’ble Justice D. Murugesan, Member National Human Rights Commission, Delhi.